A love that changed it all. Hello friends! I wanted to introduce you to someone who changed my life. My design style at home is slowly transitioning and integrating pieces of furniture and items that I never thought I would ever be attracted to until this guy came along. Just out of curiosity, do any of you find yourselves changing your design style as you get older? Or do you tend to find a style and stay true to it? I just am a furniture addict and when I find a piece that makes my palms sweaty and heart beat faster, it has got to come home with me! 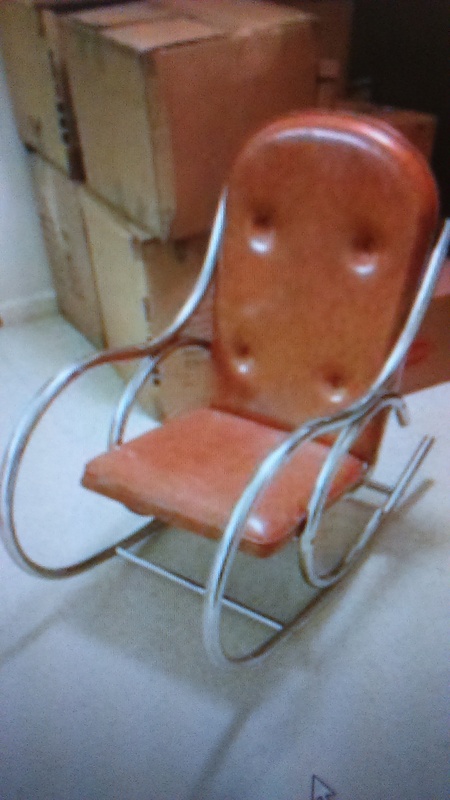 Back to my rocker….how much do you think I paid for it? $10 dollars!!!!! Can you believe that? Tell me your design style or have you ever fallen in love with a piece of furniture? Do you ever find yourself sneaking and buying furniture and scheduling pick up times while your significant other is at work? Lol yes I am that person. For example yesterday while driving I saw a white book shelf for $5 on the side of a country road. Now I purposely drove home the back way to avoid any garage sales or thrift stores and there it was waiting for me. Husband was home so I had to keep it real. I told him that I don’t find furniture, it finds me. Lol He shakes his head and laughs. The white book shelf is tucked away nicely with the rest of my treasures and all is good! Ok guys, now I’ve shared my insane addiction tendencies, tell me I’m not alone in my love for furniture! Thanks for reading, friends! Come back to see me regularly!